Barbary macaques live in large groups made up of almost as many males as females. Each group occupies an area, called a ‘home range’ (not territory, as a territory is exclusive), which provides food, water and large trees. Female Barbary macaques usually give birth at night when all is quiet, at the top of tall trees to be safe from predators. Newborns weigh about 600g and have a red face and black fur. Right from birth they are able to cling to the fur on their mother’s belly. Babies are a magnet for the entire group, cared for by their mothers, relatives and friends alike. Les bébés sont une attraction pour l’ensemble du groupe. Mères, parents et amis les entourent de leurs attentions. 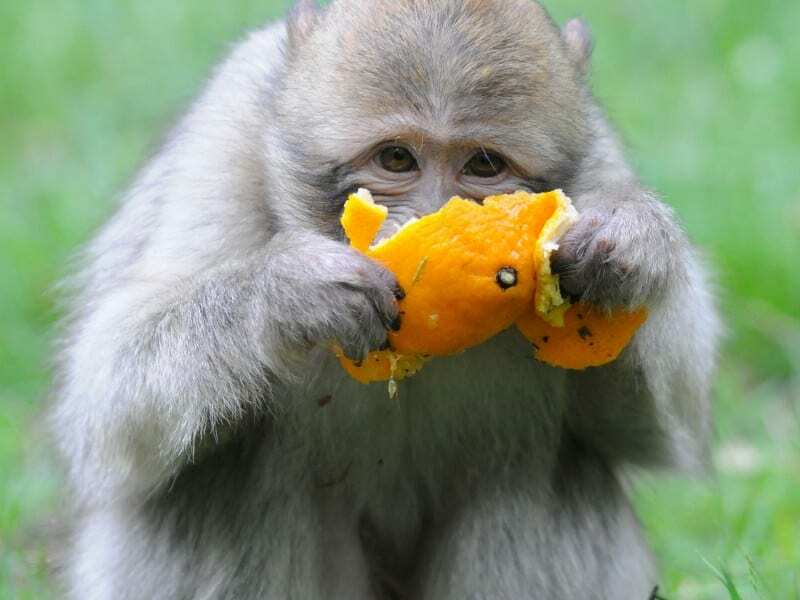 WHAT DO BARBARY MACAQUES EAT? In their countries of origin they eat over 200 different plants. They also eat insects (such as grasshoppers and caterpillars), spiders and even scorpions. In our parks we feed them fruit, vegetables and cereals. In the forest they also find grass, buds, leaves, acorns in autumn and some small animals (such as insects, for example). WHAT HAPPENS TO THEM IN WINTER? Most monkeys live in tropical countries and in zoos and parks in Europe they need heated shelters. 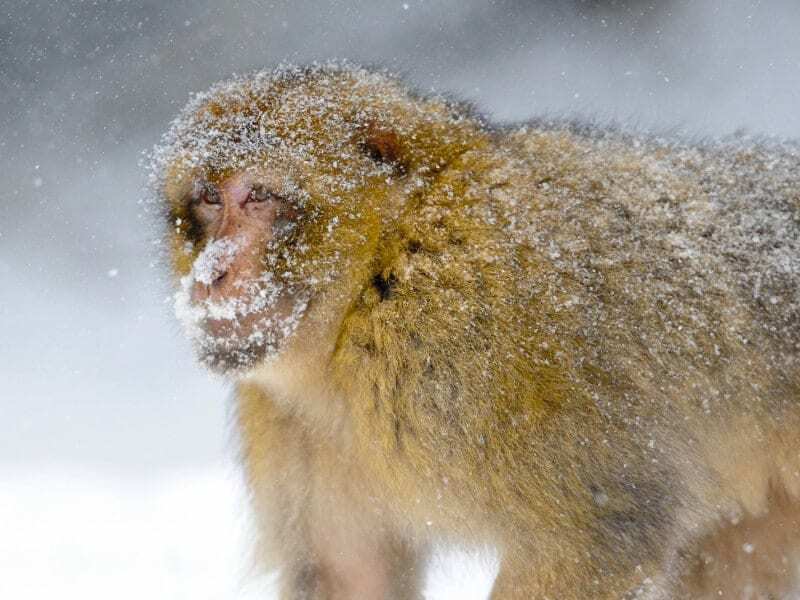 Barbary macaques come from the mountains in North Africa, where winters are snowy and harsh, which means that in the park they can live outside year-round. WHY DO THEY SLEEP UP IN THE TREES? They do it in order to protect themselves from predators. There aren’t any in the park, but it’s a habit that is passed from generation to generation. WHY SHOULDN’T YOU KEEP A MONKEY AS A PET? Humans cannot replace fellow creatures. It would miss its brothers and sisters, family, friends and forest and would be very unhappy without them. Sadly, some people do still keep monkeys at home. About 300 baby Barbary macaques are taken from their mothers in Morocco every year to be illegally trafficked and sold as pets.